Third quarter of 2017 has passed so let's take a look at stats. The media servers connected to WMSPanel processed more than 9 billion connections from 3400+ media servers (operated by Nimble Streamer and Wowza) during past 3 months. 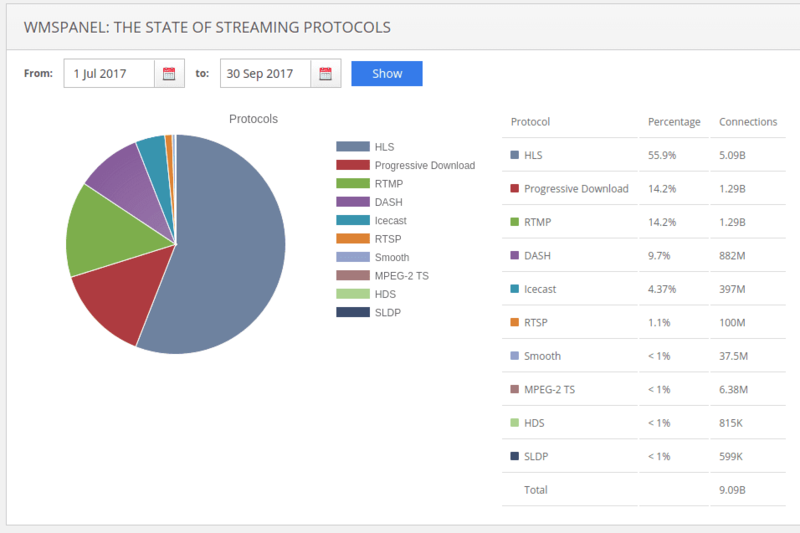 In the 2nd quarter of 2017 it had also being collected from 3400+ servers. HLS keeps going down, it's now 56%. 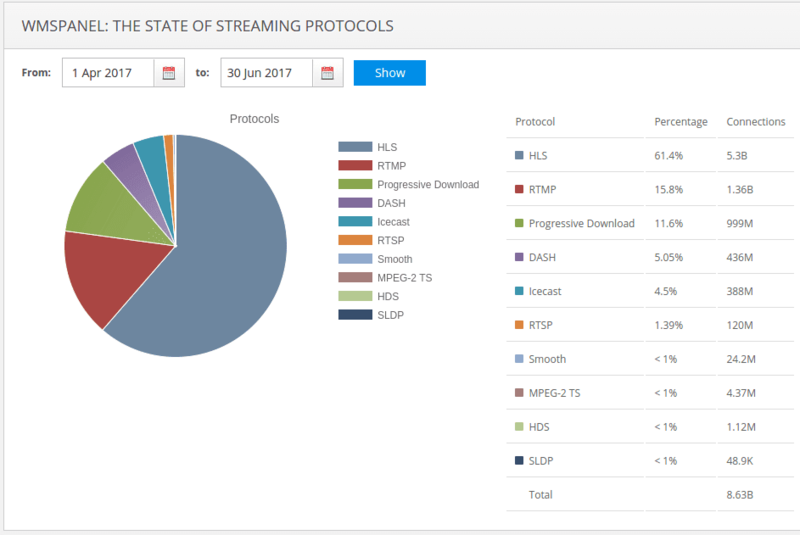 RTMP and Progressive download are now equal at 14%. 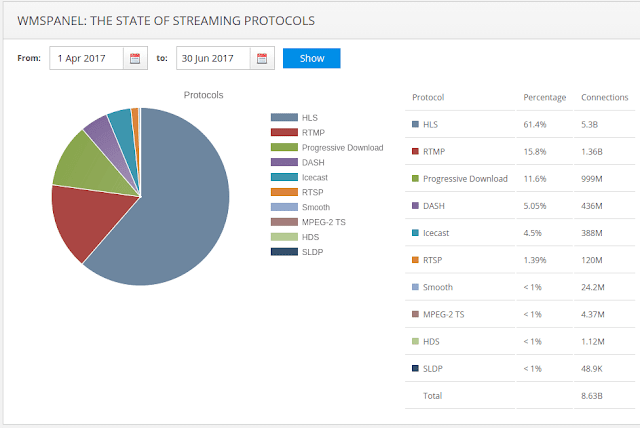 MPEG-DASH keeps going up, it's nearly 10% now. From our experience, MPEG-DASH keeps gaining momentum as a competitor to HLS for both VOD and live streaming, but it's still far from HLS popularity.